I often wait until the piecing is finished before I decide what is needed to pull the whole picture together. This is when the quilting plays an important role. Often the quilting is done free-hand. This means that it isn't necessary to trace a design on the fabric first, or to follow any fixed design. 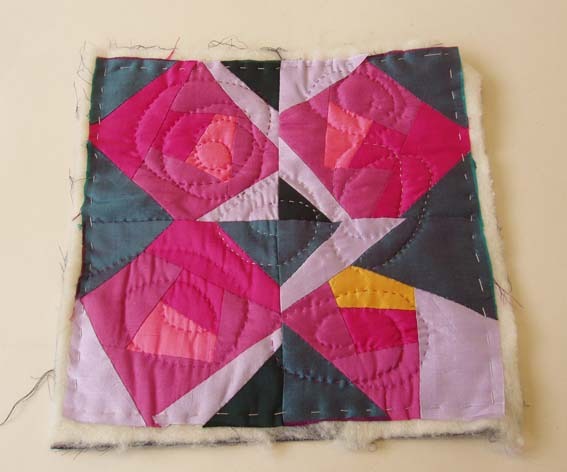 Simple, uneven circular lines are created by the quilting, using a simple running stitch.